I’m fourteen years old and I’m stuck in a boarding school in Peterborough, while my parents are on an airbase somewhere in Malaysia, where they’ll live and work for the next three years. The school is a horrible place. Put aside all that nonsense you read in Mallory Towers. This is a barbaric hellhole where corporal punishment is an everyday occurrence and where even the prefects have permission to slipper your backside for misdemeanours like slovenliness and tardiness and… well, just not looking quite right. I really shouldn’t name the place because that would be unprofessional but… it’s called The King’s School, Peterborough. We kids have other, more inventive names for it. Naturally, I long to escape, but I can’t do that physically, not unless I want to be virtually caned insensible, so I’ve devised a method of freeing my mind. I simply go to the well-stocked library, select a book and promptly lose myself in it. Because a book can take you anywhere in the world and even, out of it. One day I pick up a book that will change my life forever. 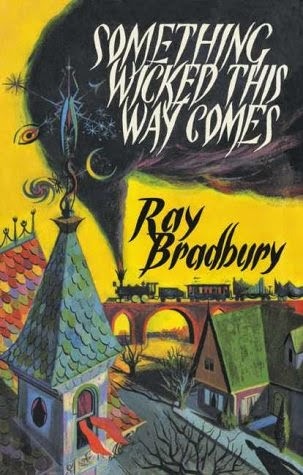 It’s called Something Wicked This Way Comes and it’s by Ray Bradbury. Now, I’m not a complete novice when it comes to Mr B. The very first thing I was given to read at ‘big school’ was The Fog Horn, from his short story collection, The Golden Apples of the Sun, so I already know he’s good. But this book… this book is different. This book blows me out of my little socks. This book is midnight carnivals and mirror mazes, blind witches and haunted carousels, it’s Mr Cooger and Mr Darke’s Pandemonium Shadow Show and it is every wonderful twisted thing that every teenage boy desires. I breathe it in like oxygen for the soul. It is genius. It is perfect. And when I have finished reading it, I think a very strange thought: this is what I want to do with my life. I want to be a writer! I start, pretty much there and then. I start with short stories, which I read to my classmates after lights out (8 pm, no exceptions) with the aid of a contraband torch. I listen to their criticisms and then I write another story and another one, hoping that each time I’ll get more positive comments and after a while, I decide it’s time to have go at a novel. That doesn’t really work, not the first time, but I have the bit between my teeth now and I think, I’m going to keep doing this until I’m good enough to be published. It takes me ten years. Picture this. It’s 1983 and I’m working as a film critic for Piccadilly Radio. I’ve published a couple of books by now and they’ve done okay. I’m really excited because today I’m reviewing the long awaited film adaptation of Something Wicked This Way Comes, directed by Jack Clayton and starring Jonathan Pryce as Mr Darke. I’ve waited over twenty years for this moment. And sadly, inevitably, it’s really disappointing. It’s disappointing mainly because it’s not the succession of images I’ve carried around in my head for so long. I knew how each scene should look. I had filmed it with my brain, over and over until I got it perfect. 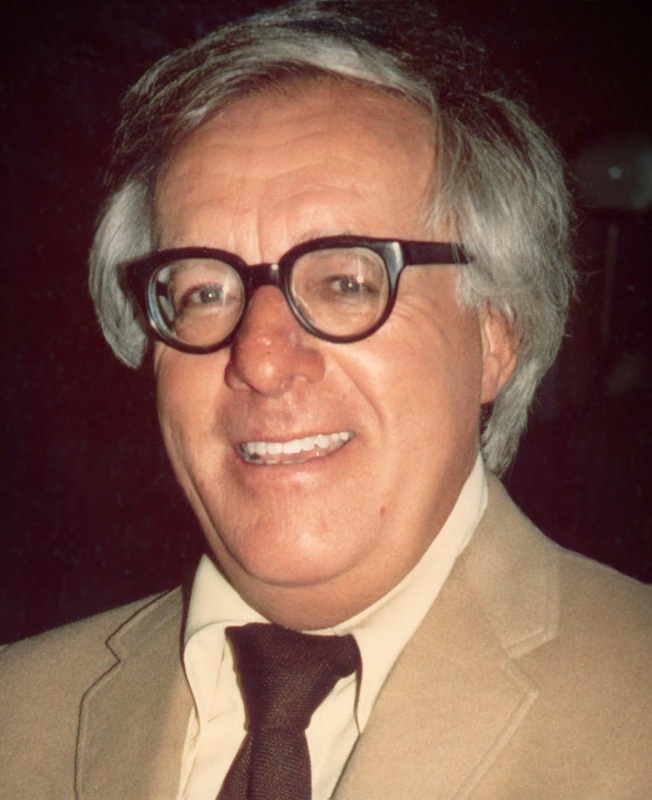 I feel so strongly about it that I go home and I write a letter to Ray Bradbury himself, courtesy of his publishers, expressing my dissatisfaction and telling him how important his book was to me. How dare somebody make a lacklustre version of his masterpiece? How dare they? Against all the odds, he writes back to me, a lovely long letter, warm and sincere, thanking me for taking the trouble to write and telling me that he agrees, the film hasn’t quite caught what he was trying to do, but that this is the best attempt yet to get one of his books into a movie theatre and maybe the best he can ever hope for. I still have that letter, it’s one of my most treasured objects. It’s a bad day when your childhood hero dies. You somehow think they’ll live forever. And many will argue that Ray will do exactly that, because his books will always be around. But will they? I am constantly dismayed when I go into a school to do workshops only to discover that none of the kids have heard of him (in some schools, none of the teachers, either!) In every school I visit, I urge the pupils to read Something Wicked. I tell them what a wonderful work of imagination it is. And I tell them how that book changed my life. And now, I suppose, I’m saying it to you, dear reader. If you haven’t caught up with this classic fantasy novel, why not give it a shot? Trust me. You will not be disappointed.